A total of 62.5 per cent of vehicles failed the emission tests conducted by Metropolitan Traffic Police Division yesterday. The emission tests are part of the ‘Traffic Management and Pollution Control Improvement Action Plan’ recently put in place by Nepal Police. 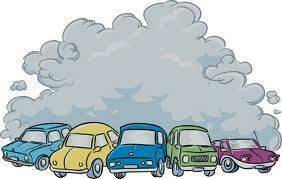 According to MTPD, emission tests were randomly conducted on 126 vehicles in Nayabazar area. Sixty-six vehicles had failed to keep their emission levels under permissible limits. The owners or drivers of vehicles failing emission tests were slapped with a fine ranging from Rs 500 to Rs 1,500, depending on toxicity of the emission. With an increasing number of vehicles with poor maintenance, Kathmandu valley has turned into the most polluted city in the country. The tests being randomly conducted on vehicles indicate that mostly four-wheelers are the major cause of deteriorating quality of air. However, the government has not been able to initiate stringent action against polluting vehicles so far. Fifty of the 116 vehicles tested in Kalanki failed the test and 52 of the 102 vehicles tested in Mahalaxmisthan of Lalitpur were punished for spewing out black fumes above the prescribed limits. As per the Vehicle Emission Standards implemented by the government in 2003, the emission level for the four-wheelers registered in Nepal in or before 1980 should not exceed 4.5 per cent of carbon monoxide of the total emission and 1,000 parts per million of hydrocarbon concentration. The four-wheelers registered in the country after 1981 should not emit CO exceeding three per cent of the total emission and should emit below 1,000 ppm hydrocarbons. Two-wheelers are not allowed to emit CO exceeding 4.5 per cent of the total emission, while their hydrocarbon emission should be less than 7,800 ppm. MPTP stated that it would continue with emission tests in the valley.